Chenoa program Increasing affordable and sustainable homeownership opportunities for credit-worthy individuals who lack down payment funds. 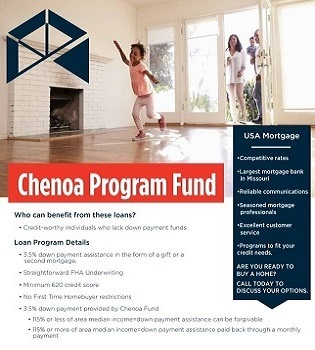 The Chenoa Fund offers 3.5% down payment assistance in the form of a gift or a second mortgage. 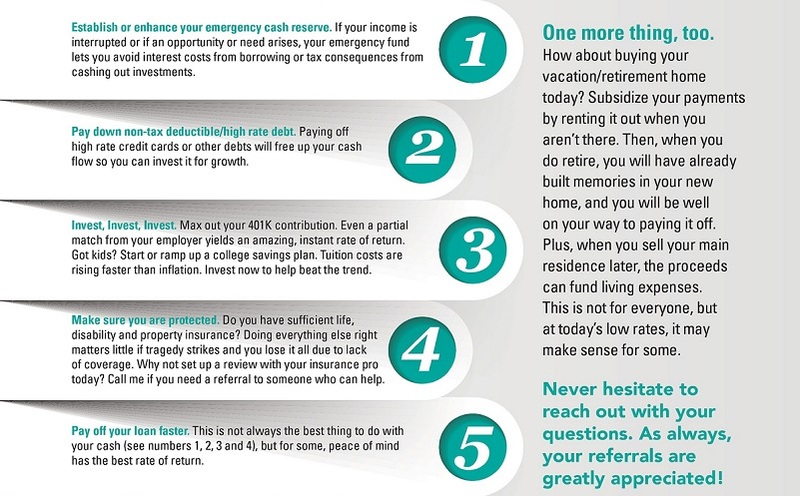 3.5% down payment assistance in the form of a gift or a second mortgage. 115% or more of area median income=down payment assistance paid back through a monthly payment. Full-service lender serving state of Missouri.